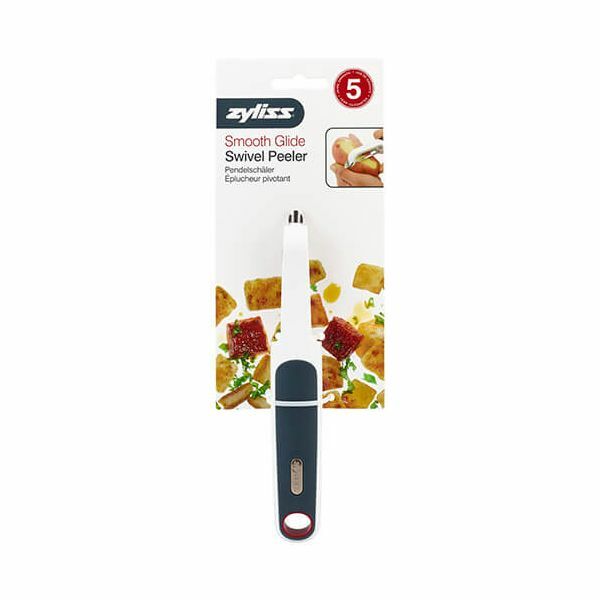 The extra strong hardened steel blade on this Zyliss Smooth Glide Swivel Peeler stays sharp for superior peeling. 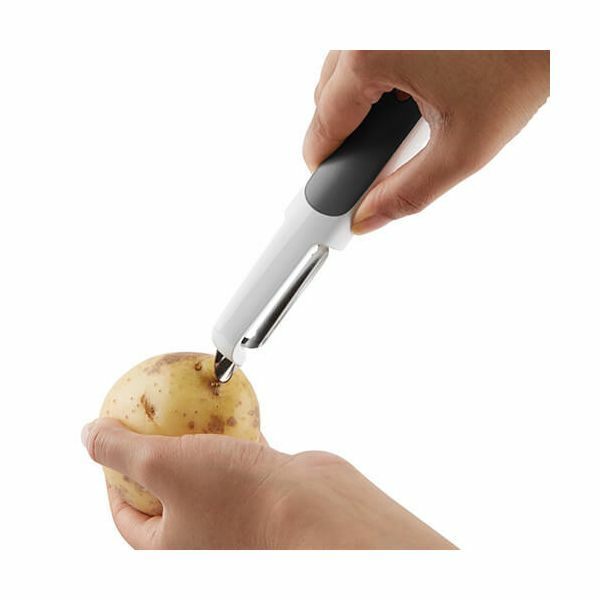 Combined with an ergonomically designed handle for comfort and grip, this peeler also features a strong steel to for removing blemishes in your vegetables or fruit. 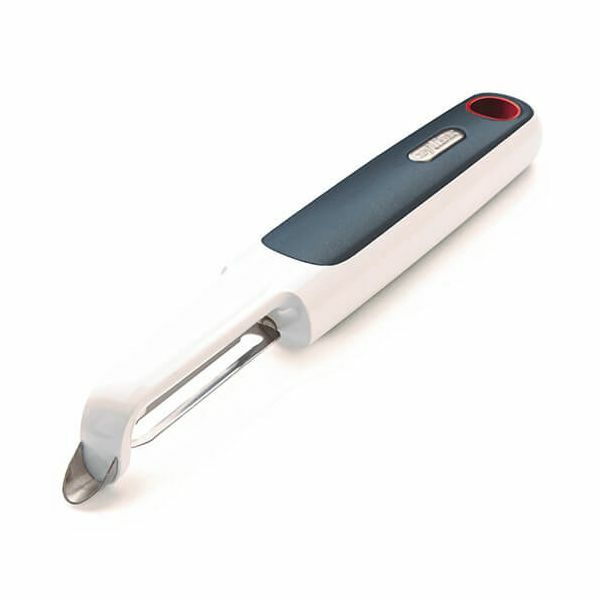 Dishwasher safe and guaranteed by Zyliss for 5 years.